Business 101 Workshop Series. 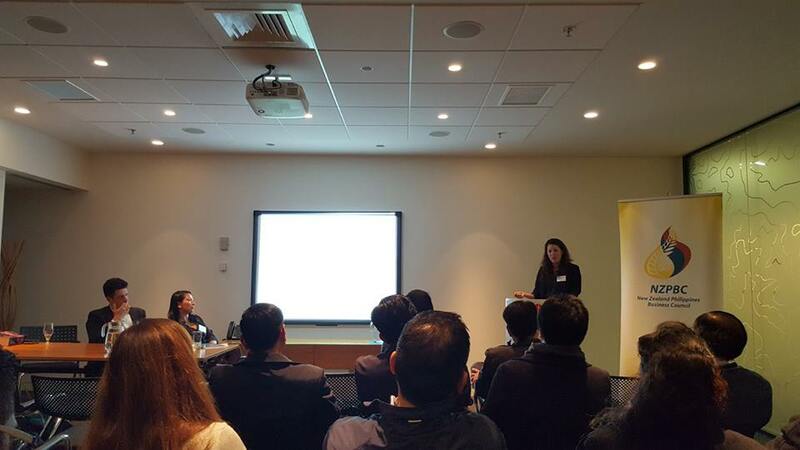 Second Session: Business Essentials was conducted on Aug 3, 2017 Thursday at Chapman Tripp’s office in ANZ Centre, Albert St. Auckland, which was hosted by The New Zealand Philippines Business Council (NZPBC) and Chapman Tripp. The speakers for the night were: Eric Hao, BNZ Business Acquisition; Jai Nario, Chapman Tripp Senior Associate – Tax; Jeremy Gray, Chapman Tripp Senior Associate – Corporate & Commercial; Marie Wisker, Chapman Tripp Partner – Employment, Health & Safety. Planning and setting up are always the exciting, overwhelming and crucial part of starting a business. Too many questions may come into our minds like, where and how to start? What is needed and what is not? Which agency/site to go to? How to get funds? Most of these questions were answered and enlightened during the workshop. Eric Hao of BNZ talked about the process and the options available for businesses to source funding from the bank. Jeremy discussed about registering a company in New Zealand, company structure, trading name and other guidelines in setting up the business while Jai gave information on IRD business registration, tax obligations, and penalties impose by government. Marie shared details and updates on government regulations on employment contracts, Kiwisaver, health and safety. Some important tips that participants learned from these lawyers are: know what structure is applicable to you, It’s better to do it right the first time, and exercise due diligence. It was a privileged indeed for the participants to be part of this workshop and take home all these information from the experts and well respected solicitors at no cost. Yes! The workshop was free! Food and drinks were free! And we got to enjoy the night networking with everyone. Thank You Chapman Tripp, NZPBC and to all those who attended.